A highly polished metal grid structure houses strategically-set misted white cubes to impart soft bright light. 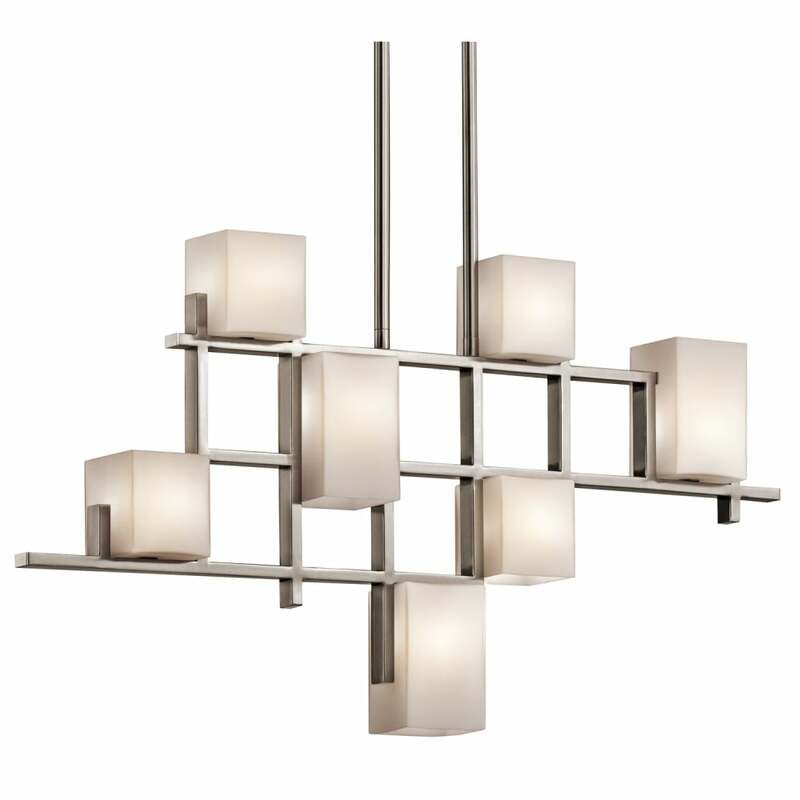 The linear design of this chandelier makes it interesting and visually appealing from many different perspectives and particularly impressive when above an island or bar unit. Matching wall lights available. The City Lights collection includes wall lights and two chandelier variations, all in Classic Pewter finish. View All Kichler for more information on City Lights or view the complete City Lights Collection. - Supplied with 2 x 150mm & 2 x 300mm rods.